Our campus Resource Officer Deputy Del Routh was honored to be included in the Star News Sunday edition of Local Heroes. The Roger Bacon Academy School Resource Officer Deputy Del Routh poses with some of the awards and decorations from his 22-year long military career at the school in Leland Wednesday, August 31, 2011. 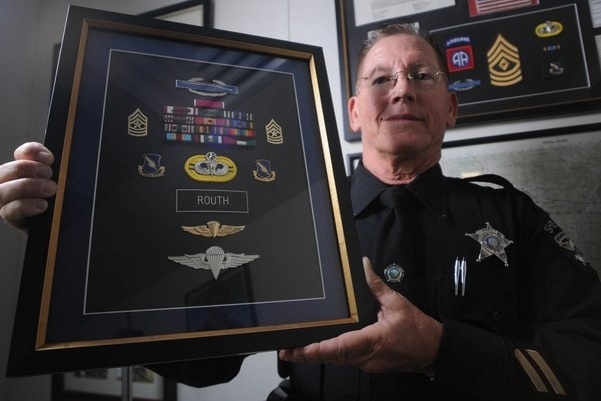 Routh was a paratrooper with the 82nd Airborne and fought in the invasion of Panama and the 1st Gulf War. Staff Photo By Matt Born/Wilmington Star-News. 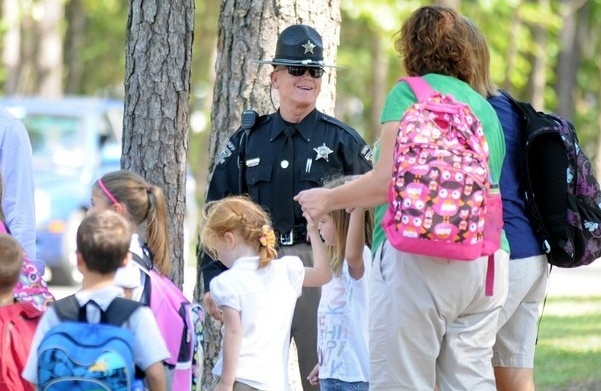 The Roger Bacon Academy School Resource Officer Deputy Del Routh talks with students and parents as school ends at the school in Leland Wednesday, August 31, 2011. Staff Photo By Matt Born/Wilmington Star-News. 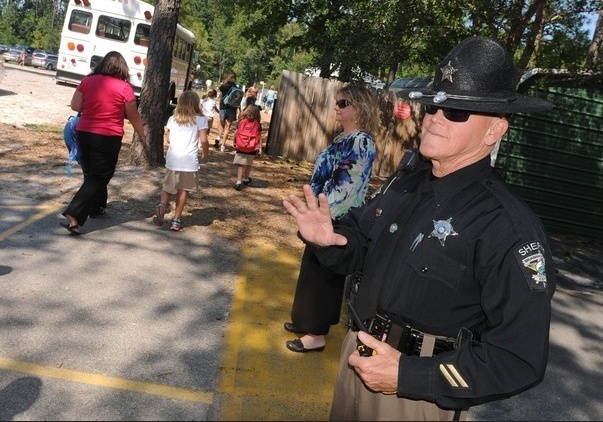 The Roger Bacon Academy School Resource Officer Deputy Del Routh waves to students as school ends at the school in Leland Wednesday, August 31, 2011. Staff Photo By Matt Born/Wilmington Star-News.